As the world gets ever so interconnected, geopolitical factors are essential for any investor. Whether the investor is looking at real estate, equities or any other forms of investments, it is always wise to understand the local government’s policies and how they will affect asset prices. Real estate is very dependent on policies that are tied to matters such as immigration and borrowing rates. Location-specific factors like the ongoing development in a particular location, ease of transportation and natural catchment of demand from potential tenants and buyers are things that traditional property investors would focus on. However, in an ever increasingly connected world, property investors would have to understand more than just these location-specific factors to make an informed decision. They would have to grasp a better understanding of the overall micro and macro-economic outlook of the city to identify areas of potential growth and demand. As someone who has been dealing with real estate since 2004, I have often encountered many individuals in my course of work who had bought property decades back and the value of their property has appreciated multiple folds. 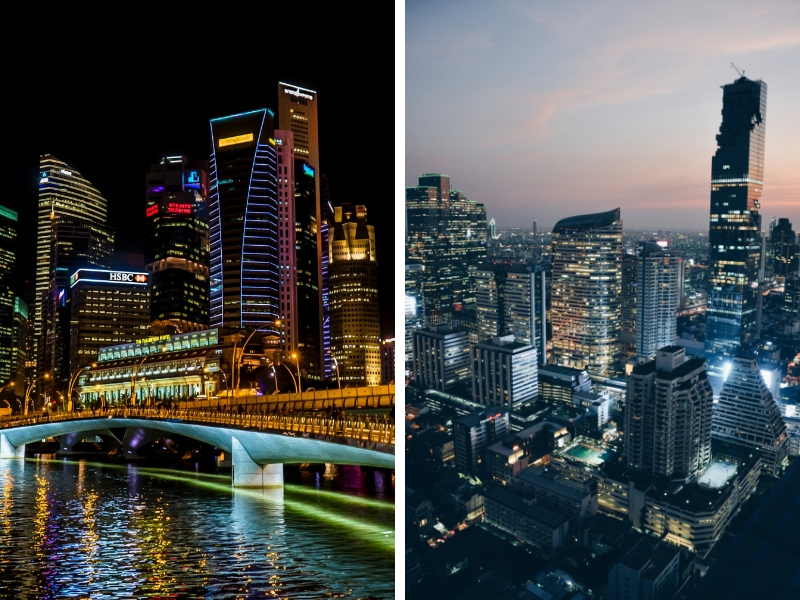 In my work, I do focus and have a deeper understanding of the Singapore and Bangkok property market and thus I will be referencing to these two markets heavily in this article. Property prices tend to increase the most when a city is in its infant stages of development. As a city like Singapore develops from third world to first, asset prices will increase in multiples. Thus it is not uncommon for us to encounter instances where property owners acquired their properties for a couple of tens of thousands of dollars and currently can sell the same property for over a million dollars. The wealthiest individuals in a city-state like Singapore tend to be directly or indirectly involved in property. This gives the investor a sense that property investment is the best form of investment. Using the same success story of a city like Singapore and overlaying it on neighbouring countries will only cause some investors to grossly miscalculate their property investments. I have heard many investors remark, on countless occasions, that investing in cities like Phnom Penh or Ho Chi Minh will yield similar spectacular returns as what had happened previously in Singapore. They fail to realise that the rise in property prices in Singapore was a direct and indirect result of many factors. Incorruptibility and political clout is something that many of these cities do not have and thus it would be a huge mistake to assume that if a city like Phnom Penh currently looks like Singapore in the 1970s to 1980s, it will take the same path of development in the same period of time that Singapore took to build itself up to what it is today. Governments around the world have the ability to, directly and indirectly, influence property prices through their policies. Direct influence can be in the form of implementing property cooling measures by increasing the amount of stamp duties which a buyer has to pay. Such measures were implemented to somewhat good effect in Singapore and Hong Kong to rein in property prices. It can also be in the form of direct assistance like the Federal Housing Assistance for Low Income Households in the US. Indirect influence can be in the form of immigration policies as a more lenient immigration policy will fuel housing demand and the converse will cause housing demand to fall. 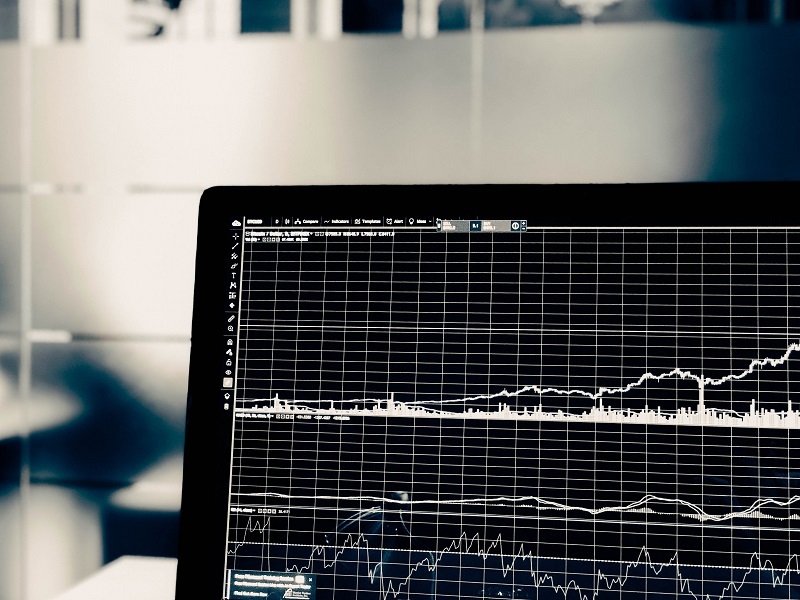 Property prices are essentially set based on demand and supply and governments around the world, through their policies, affect housing demand and supply markets directly and indirectly. In terms of population density, Singapore comes in at number three in the world after Macau and Monaco. Singapore is also the world’s second most expensive property market in the world after Hong Kong. In terms of price growth, Singapore has seen prices jump multiple folds since obtaining independence in 1965. One of the main reasons for this astonishing price growth is due to the incorruptibility of the incumbent government and the immigration policies which have propelled population numbers from just under 2 million in 1965 to about 5.6 million today. In my opinion, the three most important things that were put in place were the development of good infrastructure, far-sighted education policies and a conducive environment to encourage foreign direct investment. By good infrastructure, I am referring to an extensive public transportation network with efficient train and bus lines and international airports as well as adequate grade A office spaces in the central business districts as well as commercial and industrial spaces to support multinational corporations to set up base in Singapore. Tax structures were very friendly to companies that would like to do business in Singapore. This attracted many overseas companies into the city-state and it established Singapore as a financial and trading hub of the region. A lot has been said about the Singapore government causing prices to fall with its property cooling measures. However, few have actually understood that it was the Singapore government that caused property prices and rents to hit record high levels in 2008. The immigration policies that were implemented by the ruling party at that point in time caused a huge influx of permanent residents and foreigners into Singapore. This was a boom for property owners as prices and rents shot up to record high levels. In fact, even until today, the period around 2008 is still the high point for rental prices in Singapore. 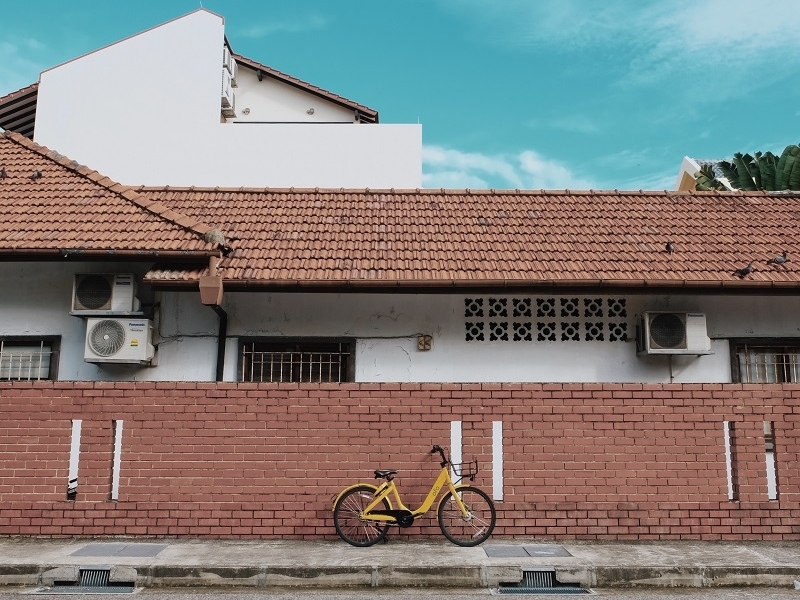 The Singapore government does, from time to time, implement property cooling measures and loan restrictions on property buyers. These measures are targeted and have a direct and immediate impact on the property market. The latest round of cooling measures was implemented in July 2018 and since then, the exuberance in the property market that was prevalent before was greatly curtailed. The curbs on foreigners and entities buying properties in the city-state are restrictively high. For foreigners, the additional buyer stamp duties (ABSD) is at 20 per cent, on top of the usual buyer stamp duties of about 3 to 4 per cent and for entities, the ABSD is at 25 per cent. The measures also helped curb the locals from purchasing multiple properties as the stamp duties on multiple properties are also rather high. Housing affordability is a hot topic when it comes to Singapore politics. As housing is most probably the largest ticket item that most households will purchase, an expensive housing market will contribute significantly to the cost of living. In the 2011 elections, the ruling People’s Action Party (PAP) lost a Group Representation Constituency (GRC) for the first time in Singapore’s history. It showed the public’s discontent with the immigration policies at that point in time as well as the rising cost of living. This caused the government to tone down significantly on immigration numbers. Bangkok property prices have appreciated a great deal in the last decade. Residential property prices in Bangkok have risen by 49 per cent in the last decade with condominium prices increasing by 78 per cent for the same period. The Thai Baht has been the best performing currency in South East Asia for the same period. Thailand is seen as a safe haven for many investors and the Thai Baht has appreciated greatly against many regional currencies. 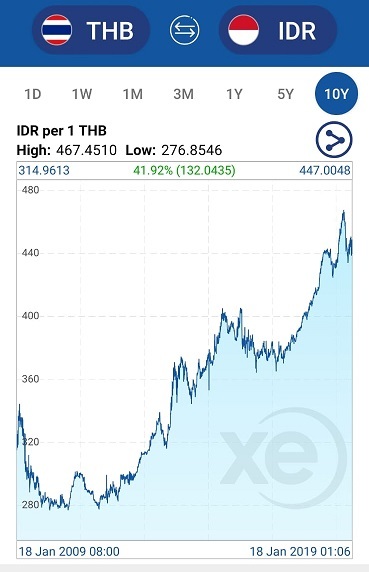 For example, the Thai Baht has appreciated more than 40 per cent against the Indonesian Rupiah in a decade. Many people fail to realise that having an efficient rail network as well as good international airports is something that does not happen overnight. In the whole of South East Asia, perhaps only Singapore can boast a more comprehensive rail network. In terms of transporting people around the city, Bangkok’s rail network is still miles ahead of what Kuala Lumpur and Jakarta’s infant systems have to offer. In terms of tourist arrivals, Bangkok is number one in the world. Bangkok is a very livable and cosmopolitan city and the government has facilitated this greatly. The cost and standard of living have risen greatly over the past decade and for the first time in 2018, Bangkok joined the list of the 100 most expensive cities for expatriate workers. Bangkok’s geographical location is excellent as it is in the middle of South East Asia. It is integral to China’s plan to build a transportation network through the region. The Thai government, through the Thailand Board of Investment (BOI), has been very accommodating to foreign investments and have been very supportive of developing Bangkok into a transportation hub. In early 2018, after many years of planning, the Thai parliament approved the plans for the Eastern Economic Corridor (EEC). Bangsue Central Station is also slated for completion in 2021 and this will link Bangkok to Nong Khai, Hua Hin and Chiang Mai. The later phase will include a high-speed rail to Kunming, China. 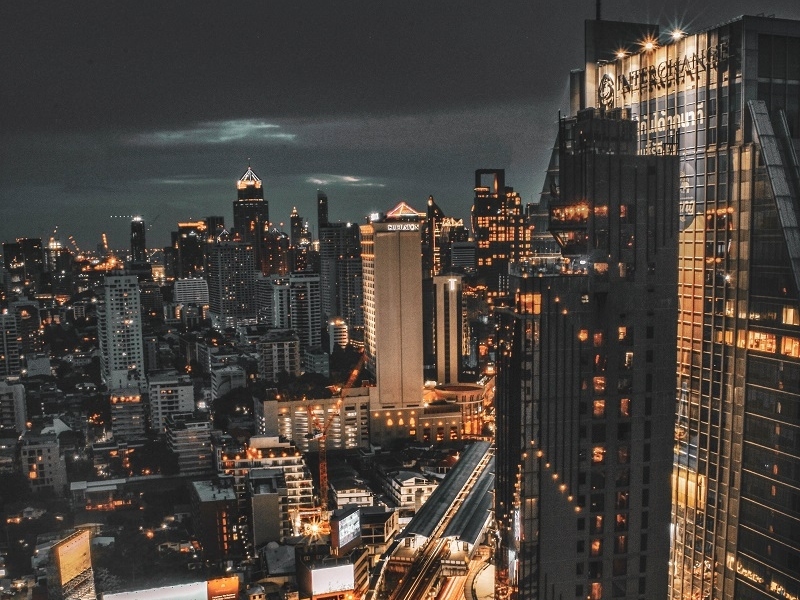 Due to these factors, foreign investments in Bangkok have risen sharply and consequently, property prices have appreciated as an ensuing result. The Thai Central Bank has also adopted a very accommodating interest rate environment. Due to historically low interest rates, property buyers are encouraged to take on debt as the cost of debt is relatively low. Since inflation and the cost of living have been rising in Bangkok, property is seen as a way to keep up with inflation. The Thai government has kept property acquisition cost rather low. Buying costs are negligible as compared to many countries around the world and foreigners are allowed to hold condominium titles. This is in contrast to many countries around the world whereby direct property ownership by foreigners is not allowed and in most cases have to be done through a nominee structure. In Thailand, a foreigner can have his name on the title deed and he can own freehold condominium units. 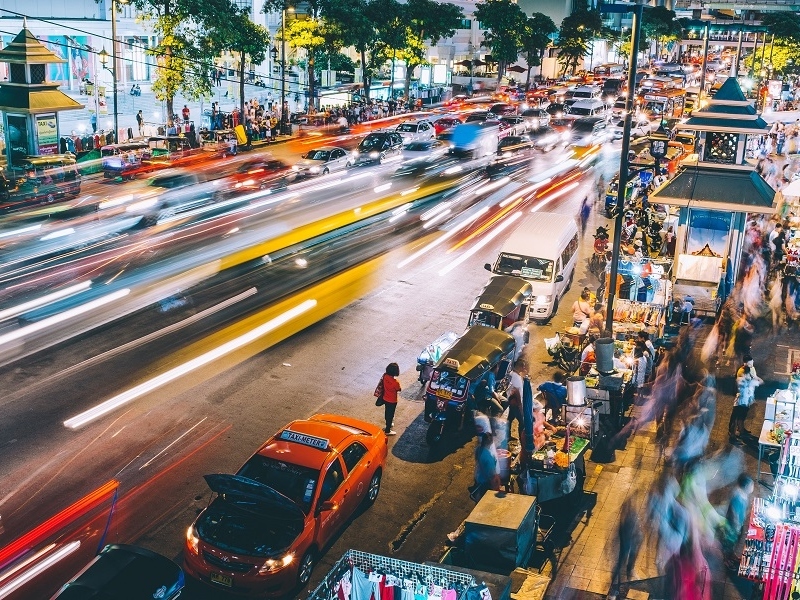 Recently, due to the excessive risk-taking culture of the local buyers, the Thai government has implemented loan restrictions on local buyers when it comes to multiple property purchases. The new rule requires buyers who are buying a second property to make a down payment of at least 20 per cent of the value to qualify for a mortgage exceeding 10 million baht. Lenders will also be prohibited from providing advances that exceed the value of the property. Since the announcement of these property curbs, buying activity has moderated and lenders have tapered expectations about the size of their mortgage business moving forward. I have always maintained my stand that financial innovation is generally good for the consumer and perhaps now is the time that Thai banks will be looking to overseas buyers to fill the expected gap from the reduction in local demand for mortgages. The Thai property loan has always been restrictively unattractive for overseas buyers and a lot of it stems from the fact that local demand for mortgages has all this while been strong. My examples will have briefly touched on Singapore and Bangkok as two cities whereby property price movements have been a result of government policies. Investors should understand that one of the government’s role is to smooth out economic cycles and ensure that the local economy experiences a sustained and healthy growth rate. In its infancy, a city experiences a period of sustained price growth on all its assets. This is the wealth creation phase. As a city matures, it enters a phase where asset price growth has to be moderated. When a city is mature, one of the major concern of the local government will be wealth distribution and how to tackle inequality and maintain affordability when it comes to the cost of living. This can be seen from Singapore’s 53 years of independence. In the early stages, the government was interested in wooing foreign investors and property prices were very low at the start and they increased rapidly in the early years of Singapore’s development. Today, affordability is a hot button topic and the Singapore government is concerned that prices may run ahead of fundamentals and thus has put in place measures to curb excessive price increases. 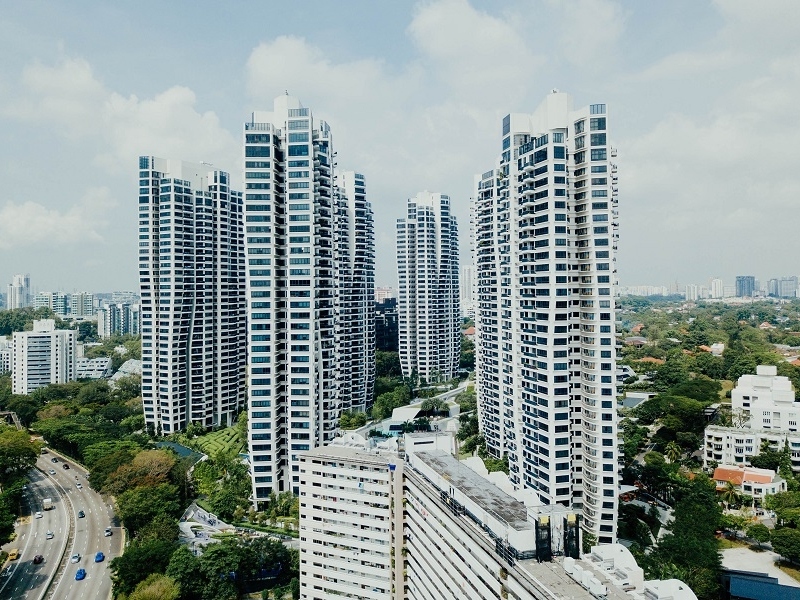 The property price growth rate which induced the government to come up with the latest property cooling measure would most probably have been tolerated or even encouraged in the early days of Singapore’s development. The Bangkok property market, in my opinion, is somewhere in the middle of all this. It is neither in its infancy nor is it mature enough such that the Thai government requires massive measures to curb price appreciation. I do think that the downpayment loan restrictions are put in place to protect the local banks in the event of a recession and property prices take a dip. 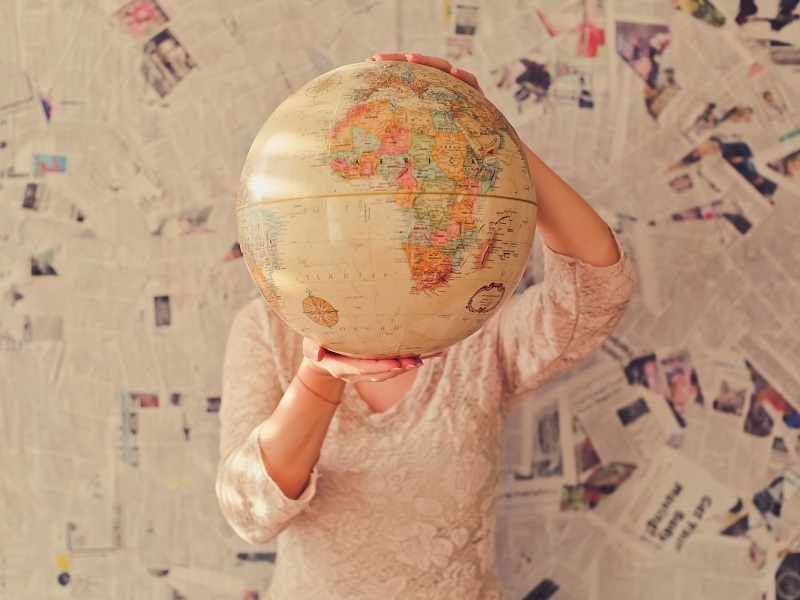 As the world becomes ever so interconnected, investors will start to look outside of their country when it comes to investing. I for one have always maintained that a government’s policies are integral to whether a particular property market is something that can be looked at. Instead of randomly assuming that low prices in underdeveloped markets will rise, investors should focus on whether conditions put in place by a particular government will encourage price appreciation. Landed House versus Strata Landed. What are the pros and cons and which is better?